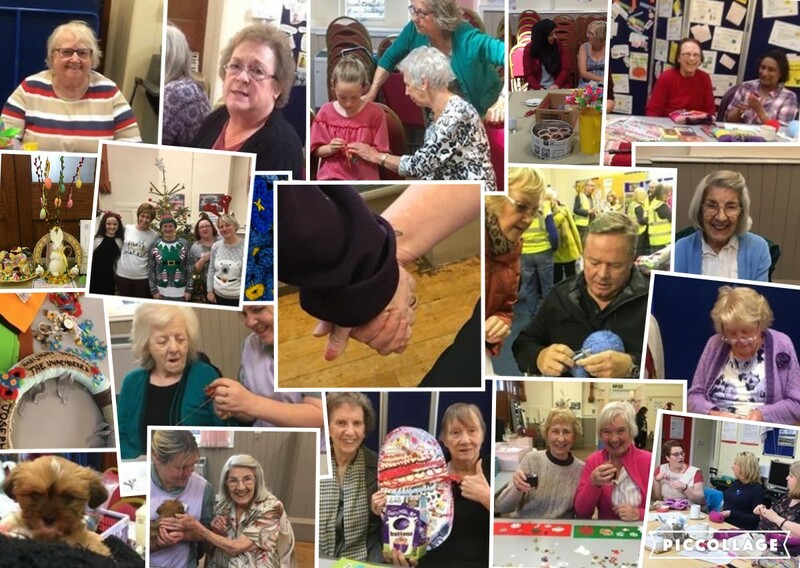 Made In Haslingden is a small charity whose aim is to provide regular sessions to which members of the community of Haslingden and beyond can come to undertake meaningful craft-based activities. We hope that by bringing members of the community together, they will be able to share skills and learn new skills, such as knitting, sewing, crochet, toy making and simple carpentry. We aim to create sensory items for other members of the community living with dementia or other conditions, who may benefit from the items we make. These may be Twiddlemuffs, fidget buddies, sensory aprons, activity boards, sensory toys and animals or other sensory items - the only limit is our imagination! Our difference is that we make bespoke items for individuals. Made In Haslingden works with people living with dementia, their carers and Care Homes to establish individual details such as favourite colours, previous occupation, hobbies; which can then be incorporated into a bespoke sensory item. This is done from past and current life story. We run Craft groups and a Men's Shed to provide activities for everyone. Details of sessions can be found on our Events page and on our facebook page. Please have a look round our website to find out more, or contact us.